Last winter, thanks to Lee Guite of East Boothbay, I tried some LED bulbs Lee used to replace the incandescent ones in the Aqua Signal nav lights aboard his Dulcinea. Lee got pretty carried away researching available replacement bulbs and the ones he finally chose were “flux” models from the LED Shop in Australia. In the photo above I was trying to get a camera comparison of his steaming light versus an OGM combo LED running light. 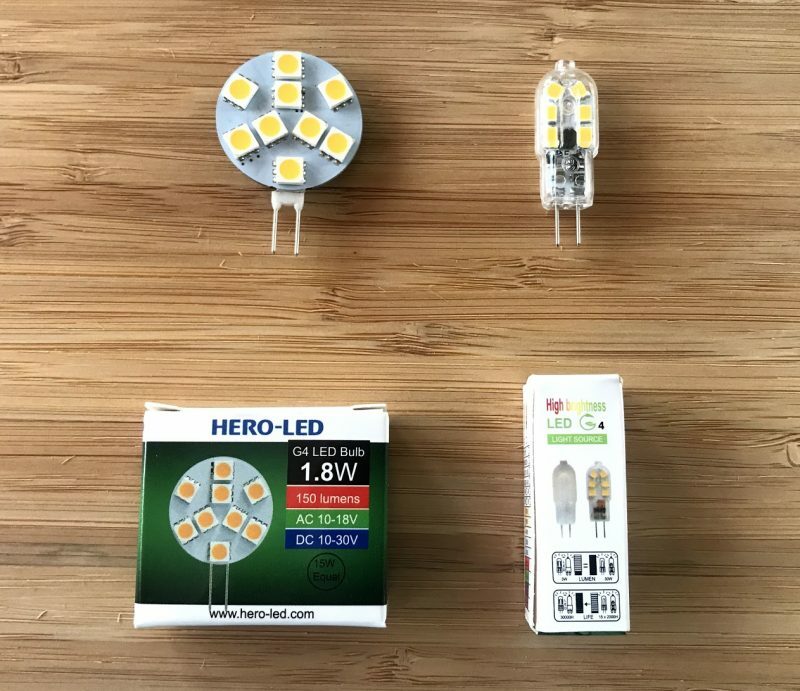 They both seemed fairly effective, but now the LED Shop has more powerful SMT bulbs, and Orca Green Marine has dropped the multi-LED models altogether in favor of single LED lights. I don’t know much about LEDs, but they do seem to be in a state of rapid technological change, which means that one LED may perform quite differently than another, and none of them may be what we’ll be using a few years hence. But most any LED is likely to be more reliable than an incandescent bulb, and there are a variety of inexpensive replacement bulbs. Lee also likes the bulbs coming from Dr. LED and is curious about the extra cheap choices from Super Bright LEDs. There’s also exotic Bebi Electronics, and if you can afford to replace your fixtures, you might consider high-end Lobolights (though I heard that one circumnavigator had electrolysis problems with them). 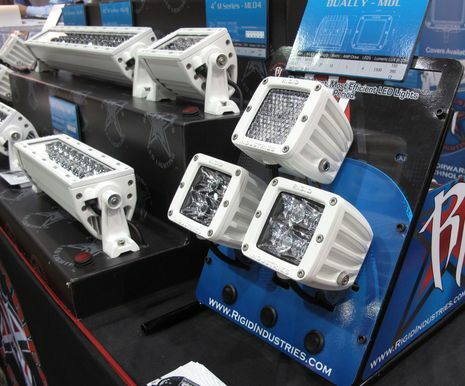 And Aqua Signal, Perko, Hella and Innovative Lighting are all making their own LED running lights nowadays, at a wide variety of price points. I sure like knowing that a given light has been tested to U.S. Coast Guard specs, but I know it’s an expensive process and might settle for one claiming to meet the spec (which, sailors should note, includes vertical angle of visibility to compensate for heel). And I understand why the USCG permits a lower range of visibility for smaller boats—the equipment is less expensive—but do you really want your smaller boat to be seen less far? Also, does anyone know how European nav light specs compare to the Coast Guard’s? Or have any other thoughts of the LED variety? Next story Jeppesen NNS MAX Pro, it’s shipping! Previous story N2K instruments, the big display leagues next? In order to minimize the battery drain at anchor I installed a Perko LED all around light (2 mi. visibility) on my powerboat. I’m very pleased with the performance as well as the fact that it is supposed to last for a very long time. In addition to nav lights I’d like to know more about replacement LEDs for reading and utility lights. Are they bright enough? Is the illumination pattern acceptable? Is the color temperature good to read by? You might look into whether these new designs have any significant interference with VHF radios. We’ll continue to update these FAQs with your latest questions, so please check back if your question isn’t answered here. You can find a list of questions on the right and can also use the handy search in the upper left corner. If you’re not finding your question, you can always give us a call. We’ll be adding some technical specifications, bracket templates, pdf downloads and other relevant techie stuff you’ve been asking us about shortly, so stay tuned. Q: I’ve talked to OGM’s tech folks and need to install a choke, how do I install the Ferrite Bead onto the light wiring? A: After several conversations with those few folks who are experiencing RF interference with their LED TriAnchor light, we think we have narrowed the cause down to the newer more sensitive VHF radios (and/or positioning of the antenna to the light). The radios that seem to be the most sensitive (and thus the interference) are ICOM 504 or 522 and also the West Marine/Uniden 600 models. Older radios or less sensitive radios don’t seem to have any issues with interference, so the issue is very isolated as we can tell, however we are working on a way to eliminate the possibility going forward as newer technology becomes available. Our engineering team has devised a fix for the current TriAnchor light using a very specific ferrite bead (Fair-Rite P/N0 431167281), which can be purchased from a variety of electronic parts stores including Mouser and DigiKey. If you have one of the above radios and are experiencing RF interference, you can purchase one of these directly or call us for one. To Install the Fair-Rite P/N 0431164781 bead, wrap the bead around a section of the wire with 1 loop in it and as close to the end by the light as possible. The wires should pass through it twice (as shown in photo). The Ferrite bead is a clamp on type, so no rewiring is required as long as you have enough play in the wire to make the loop. Again, this is a very small percentage of folks and currently we’ve honed it to the very sensitive newer VHF radios. As mentioned in our earlier FAQ, we are designing a more eloquent fix into the new circuitry of our 12-24V TriAnchor light which will be available later this spring. We will also include this ferrite bead in our packaging, though most folks won’t need it. We encourage you to test your light prior to installation and if you do need it, you will have it readily available. Q: I recently read that some LED lights and particularly OGM’s tricolor/anchor LED light causes some problems with VHF interference. Q Part II: How widespread is this issue and are there any fixes in the works? A: OGM’s LED TriAnchor light was introduced in April 2004 and since that time, we’ve had quite a few of them in the field all over the world (many of our customers have traveled across several oceans using our LED TriAnchor and other running lights). Recently, we’ve begun getting some reports of VHF interference (only from customers who have our TriAnchor light), however there continues to be many, many others out there who don’t experience (and can’t replicate) any RF issues. To date we’ve had only 6 reports of RF interference and we are working with these customers to try to figure out what is unique about their vessel and how to eliminate the RF issue. Despite the small percentage of RF issues, we would still recommend testing the light with your configuration prior to stepping the mast if possible. As many of you know, since there are so many variables that could be involved, it’s difficult to say if it is the light itself, the existing wiring, placement of antenna, the combination of electronics, the installation, etc. etc. etc. Since we’ve not been able to isolate the issue from our end, we’ve opted to incorporate some additional internal modifications on the development of our 12V-24V version of the TriAnchor light and will offer this option at a nominal upgrade fee to those who are experiencing or feel they may experience VHF issues. Please let me reiterate that this is a very very small percentage of folks who experience any type of RF issue, and only recently, so chances are, you won’t have any issues. If you have already installed one of our TriAnchor lights and do happen to encounter any interference, please contact us and we will work with you to correct it. You might care to ask the suppliers of these new bulbs if they have tested for VHF interference, and if so just how? I got replacement bulbs for various interior lights on our Fjord 725 (Norway 🙂 two years ago. Some give perfect light and some have a bit cold color temperature (blueish). It’s because natural to warm white LEDs have been harder to produce with good efficiency and power than single-color ones. But this has improved a lot since, and will continue to improve. For navigation lights however, it really makes sense to use the very efficient single-color LEDs in green and red together with a clear lens. Using a less efficient white LED just to throw away most of the light by filtering it through a red or green lens is wasteful and prevents good performance vs cost. Regards, and thanks for a great blog! 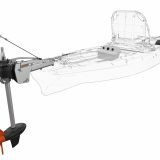 US Coast Guard requirements are the same as those set forth in various European countries: 1 or 2 NM depending on size of boat; angles and heeling requirements seem to be the same at first glance as well. It seems likely that the requirements, given the similarity of them, originate from the IMO. Concerns about VHF interference are slowing me down from replacing my masthead lights. I’d heard of this problem and did try the LED Store bulbs quite near a VHF antenna. Didn’t hear anything. The interference is such that, in effect, your VHF goes deaf when the light is turned on. You simply hear a lot less than you do with the light off. There is an interaction between the interference noise, the automatic gain control and the squelch circuitry that causes this deafness. Hopefully someone with more recent EE education ( my EE education as in 1958, this is 2008 so cut me some slack….(grin)….) will explain this more fully. Hi Ben. What was done to my sailboat to avoid RFI was to upgrade the grounding system to code using number 4 and 6 wire as suggested by Ed Sherman in Professional Boat Builder Apr/May 2003. The mast grounds were connected from the mast to the mast step directly and then to the keel.Your collegue from Sail Mag Gordon West was a big help with 2 articles; to test for RFI, his “Running Interference Out of Your Electronics” Sail Mag Aug 1994 and his comment on RFI caused by an LED voltmeter in the instrument panel,”Sail Mag Feb 2006″ and am very happy with his suggestion of using a new Ferris analog voltmeter in my panel two years ago with color guide of when to recharge my batteries. I have a new anchor light from the LED Shop in the mast with 5 mile visability and a running light for the Aqua Signal 25 from a new company MastLight.Com that will be tested after launching the end of this month.All the other LEDs are OK. To check on LEDs look up “The LED Magazine” for LED shops like the Cree Company et al, and abroad. Contacted Bob Stoeckly of Alpenglow Lights and he is using white LED reading bulbs. Stopped by the Boat Shop in Bremen that was building a 41 foot Cat, and was told they are using NEMA 2000 which is good when they start working on your new boat! 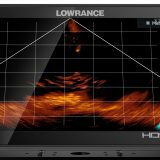 Wow, MastLight.com has terrific reference material on nav light specs, bulbs types, color temps, etc. Thanks, Lee. I have a 1977 Pearson 323 sloop that I have been in the process of upgrading since 2003. I installed the OGM tri-color on the top of the mast because my “normal” nav lights weren’t working. It is the brightest anchor light in whatever anchorage I happend to be in. I also replaced all of the cabin lights with bulbs from DR. LED. When I got them, they were too short to fit in the fixtures on my good old boat. Dr. LED was very accomodating and modified them for me for a very reasonable price. Now I am looking for replacements for my running lights in the bow and on the transom. I would like to get replacement bulbs for them instead of replacing perfectly good fixtures. On a side note, when I replaced the high-intensity incandescent cabin lights, the voltage drop with everything turnd on went from over 8 amps to just under one amp. How do you like the LED cabin lights? Are they as bright as the incandescents? Is the color temperature pleasant to read or work by? White LED lights for reading: These usually use a phosphor coating to get “white” (according to Wikipedia there are other ways too). In my experience the quality varies from poor to good. LED VHF interference: Most good LED applications use a driver, because LEDs work best when driven with a constant current. These drivers have a switching DC/DC converter. I see from National Semiconductor’s web site that the switching frequency could be around 550 kHz, 1.6 MHz, or who knows what else. Therefore RF interference is definitely an issue. Both of those are close to possible receiver IF frequencies. LED bulbs in existing non-LED nav lights: The regulators will not approve that. Does “white LED for reading” improve reading over other types of LED ? An example of something hard to read with LED lighting is letters and numbers engraged into a metal surface, like a part number in a piece of boating gear. What is it about LED lighting and our vision that you can see that the engraving is there, that they are numbers and letters, but have to strain and/or rotate the engraved surface to actually read it ? I have a 34 bulb LED drop light, with a 12v auto/boat adapater, that is great for doing work in tight places … except that I need to bring along a normal flashlight if I want to examine the part numbers on the surfaces I am working on. Seems strange since the drop light is very bright and completly illuminates the surface I am reading, that I have to struggle to read. Marinebeam, Bebi, and Sensibulbs have Constant-Current IC technology, rather than cheapo resitors, which is an absolute must for use on sailboats. It gives the brightest output, lowest heat, and has much higher efficiency than other resistive methods. Many, if not most of other of the websites metioned in the comments use cheap autostore resistor type bulbs. Hello Sailors I was just reading over some of the talk about navigational LED lights. LEDs are here and will continue to be used more and more. 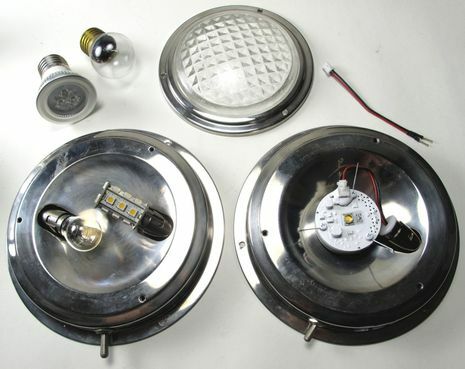 There is also a new kid on the block that has been manufacturing electronics since 1985 and have just recently released the whole family of navigational LED lights and puts their experience into their products for the marine industry. Visit this website for quality LED products interior and exterior http://www.kimberlitemanufacturing.com. I look forward to visiting panbo more often. OGM has a recent blog entry about LED lights causing interference with VHF reception. The solution is short cut te pins with the right capacitor non polarized the RF is off without ferrites or chokes, and is too cheap and easy to ipmrove. Has anyone tried this new model? A friend has this interference problem and would like some assurance before sending his unit in. There may be a more serious problem with LED nav lights, where their instensity may drop over time. See the AUG 2009 article in IEEE Spectrum “The LED’s Dark Secret – Solid-state lighting won’t supplant the lightbulb until it can overcome the mysterious malady known as ‘droop'”. That article is pretty heavy going, Joe! 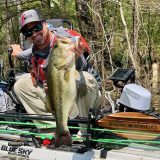 Are you sure the problem applies to boat type LEDs? I do know that the long lifetimes claimed for many boat LEDs may be bogus because they don’t account for actual use conditions (fixture heat) and they don’t state how little light may remain after all those hours. Some of the more reputable vendors are now using the “L70” specifications, as in the “50,000 hours to L70 (30% drop in light)” claimed for LIETs. Ben, yes I believe it does. I believe it applies to nav lights on commercial shipping too. Last fall I received an email from BSH, the German test house, saying they had seen the problem in nav lights they were certifying and asking whether we had as well. if you read the article again, droop is not a time dependent function. It is a current dependent problem. As the current through a LED is increased the light output should increase proportionately. However at high currents this relationship falls down; increasing the current produces progressively less increase in light output. This is the “droop” referred to in the article. For a LED operating at fixed current the droop effect is irrelevant. By all means, replace your non-navigation light bulbs with LED ‘replacement bulbs’. As a professional lighting designer, I’ve seen LED technology moving ahead in leaps and bounds over the last decade & a half, and there are areas where they can have a lot of positive results. 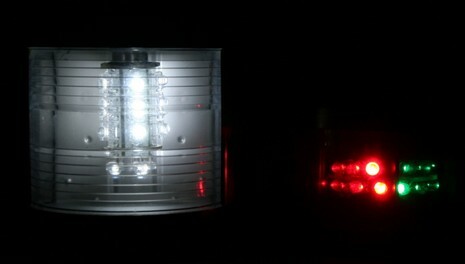 The LED component(s) of a well manufactured LED navigation light will essentially last beyond the boat’s life-time. If the light has been designed to adequately heat-sink the LED so that the T-junction remains in nominal temperatures during operation, you’ll probably only ever find it ‘burnt out’ due to a bad batch (which can happen to any electronic device, but chances are it’ll last for years and years and years). As someone mentioned, if the light has an ‘L’ number such as ‘L70’ or ‘L85’ in conjunction with a figure for ‘hours’, it means that the light output will be expected to be 70% or 85% of original output after ‘x’ number of hours. So ‘L70’ @ 50,000 hours means the light will still be producing 70% of its original lumen output after 50,000 hours of operation. If you operated your navigation lights all day, every day (assuming poor visibility during every day and of course you will have darkness at night), that’s 70% of original light output after 5.7 years. If you’re running your lights that often, the maintenance cost of everything else in your boat is going to be much higher than that of replacing a couple of LED lights. If you’re not running your lights anywhere near that amount, (say, 3 hours per day, every day of the year), you’ll still have 70% of original light output after more than 45 years. If you have paid good money for a boat, and you have it insured, it makes no sense to even think of replacing your standard navigation light bulbs with an LED ‘replacement’ bulb. The fresnel lens is precision designed to refract light from the filament of a bulb to generate a certain intensity in candelas at the required angles to gain approval for whatever distance of visibility that is required for that light/boat combination. The bulb is an integral part of that optical design. As a boat owner, you’re not qualified to make a call on whether a replacement LED bulb (which generates a light distribution completely different in spatial terms to a filament bulb) will produce the requisite intensities in the right directions. Tampering with any part of the design, whether it’s shielding, lens, reflector, lamp, lampholder, whatever, would upset the light performance. Think of it. You’ve got a tiny, tiny filament that throws light in almost a complete sphere, and the optics of the light are designed to focus as much as possible of it into a narrow band of light that is sufficiently visible over at least 1nm. A very small change in even the position of the light bulb could affect the beam. If an insurance company, looking at paying out for a ship collision, found that visibility may have been an issue, they’ll check that the lights were approved and working at the time of collision. If there’s any need to insure your craft, then there’s no sense in voiding that insurance by faffing about with LED replacement bulbs. Stick with either buying new, approved LED navigation lights, or if you want LEDs, just use them in other parts of your boat. They can be great for low profile downlights, reading lights, underwater lights, etc. Between the time I purchased my Hella NaviPRO LED nav lights and was ready to install them I misplaced the mounting shrouds for two of them. After a request to Hella to purchase new mounting shrouds two new shrouds arrived by overnight shipping free of charge for shrouds and shipping. Remarkable customer service. Very happy with the lights too. Replacing the wiring in my mast as well as installing a Lopolight 200-700S at the masthead. Lopolight documentation suggests the wiring in the mast to power these lights could be 24 AWG. Unable to locate something in this size in quality marine tinned wire. Anyone know of a source. 1. Lopolight doesn’t specify the length of power cable that can be 24 AWG but wire sizing is always a computation of amps, length, and tolerable voltage drop. 2. I’d be concerned about getting a strong splice with 24 gauge, especially as the lead from the light seems to be 20 AWG. I think I am either going to go with SimNet cable or possible a 20 gauge wire. From another site I picked up a pointer to Belden 9444 Instrumentation cable. Its 4 wire tinned copper stranded cable with 7 strands per wire. Not specifically marine grade. Newark Cable stocks in 100 foot lengths for under $100. Be nice if LOPOLIGHT/Euro Marine Trading made this and similiar cables available. 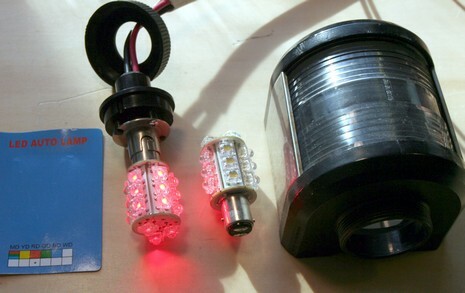 If fitting the cluster style LED replacement ‘bulbs’ to older fittings note that the older optics of the lights are designed for either a point source filament or a vertical filament so the angles illuminated may not be exactly as before, the legal certification is probably void which might worry professional boaters. Keep your white paraffin light ready to send up the halyard when all electrics fail ?? We are looking for 12–single contact 120v M20 Bulbs for the Marine Mast Light as shown in the picture LED NAV light above, we have three ships that works with these lights and cannot find the bulbs to go with them.